Over the years, we have candidly shared with our readers a certain uneasiness about our ranking system; our prevailing criteria gives the highest priority to the qualitative achievements of a lifetime over achievements within a given year.  This year, The Muslim 500 is making an effort to recognize those Muslims who have managed to undertake exceptional accomplishments in a relatively short time span of one or two years. So we have created a new category—Persons of the Year—to recognize outstanding achievements by individuals who have managed to correspond with excellence to the most pressing issues of our present moment. Beginning with this edition of The Muslim 500, we will honor the achievements of a Muslim Man of the Year and a Muslim Woman of the Year. Nawal started advocating for migrants and homeless people in Italy at the age of 14. In March 2013, in Syria as a social media activist, she followed an ambulance carrying medications in Aleppo and distributed her calling card with her mobile member on it to everyone she met who told her they intended to flee from the war to Italy. Back in the port city Catania, Nawal received her first call that summer from a frightened migrant who was one of hundreds of Syrians on board a damaged boat lost in the Mediterranean taking water and in danger of sinking. Nawal’s knowledge of both Arabic and Italian enabled her to swiftly contact the Italian Coast Guard, who instructed her on how to help the people on board indentify their position using the GPS system on their satellite phone. She relayed the coordinates to the Coast Guard and the refugees were rescued. That was the beginning and since then she has kept her phone by her side 24 hours a day. Ever since, she has received frantic calls at all hours and acts as a liaison with the Italian Coast Guard for countless refugees at sea. This past June, Nawal was named the Arab world’s greatest “Hope Maker” and was awarded the one million Dirham prize by HH Sheikh Mohammed Bin Rashid Al-Maktoum, Vice-President and Prime Mister of the UAE and Ruler of Dubai. 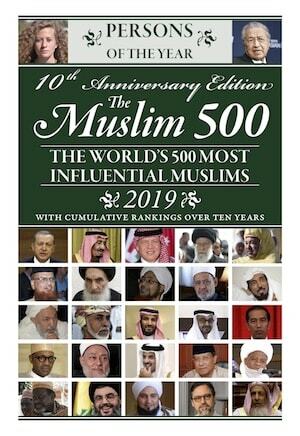 The Muslim 500’s Man of the Year is Sadiq Khan. As the son of Pakistani immigrants, he was elected Mayor of London in May 2016 at the age of 46. At the time, Sadiq was a Labour Party MP representing the diverse neighborhood of Tooting, in which he was born and raised. Not only is he the first Muslim Mayor of a major European capital, but in his successful campaign for Mayor, he took 57 percent of the vote which totaled 1,310,143 voters giving him the largest personal mandate of any politician in UK history in which he pledged to be the Mayor for all Londoners. Since being in office, he has frozen fares on the London tube and introduced the hopper bus ticket allowing London’s commuters to take two bus rides for the cost of one. Khan is implementing an ambitious affordable housing program, all of which come as welcome reforms for financially stressed Londoners in a city that has become increasingly too expensive for any but the well-to-do. Two terrorist attacks hit London shortly after Sadiq Khan became Mayor. A series of cowardly attacks ensued, but Khan’s response was swift and unequivocally reinstated his commitment to the safety and unity of Londoners. Such heinous attacks are assumed to be the work of DA’ISH or by those radicalized by their violent propaganda. The fourth terrorist attack in London occurred in June when a Brit from Wales drove a van into a group of Muslims who had just attended late Ramadan prayers at a London mosque; an example of how Islamist terrorism stimulates a violent Islamophobia that can take a deadly turn. Sadiq has worked closely with London security agencies and succeeded in thwarting 7 additional threats. His calm presence and hopeful messages during such potentially divisive times were praised even by his Conservative Party political opponents. Perhaps in this lies his greatest accomplishment: his election and sustained popularity in polls taken a year after taking office are proof that Londoners, in Sadiq’s own words: “have chosen hope over fear and unity over division”.